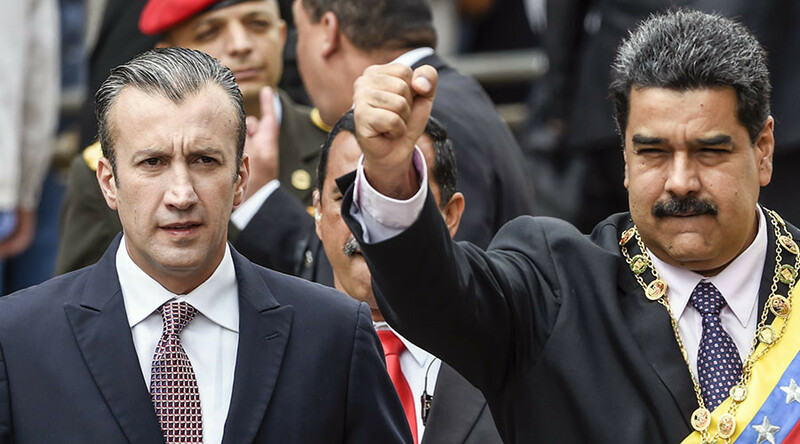 The US has sanctioned Venezuelan Vice President Tareck El Aissami for alleged drug trafficking, saying that he “facilitated shipments of narcotics” and “oversaw or partially owned narcotics shipments of over 1,000 kilograms” from Venezuela. El Aissami was appointed to the position of executive vice president of Venezuela last month. He has previously served as the country’s interior and justice minister (2008-2012) and the governor of Aragua State (2012-2017). “He facilitated shipments of narcotics from Venezuela, to include control over planes that leave from a Venezuelan air base, as well as control of drug routes through the ports in Venezuela,”said a statement released on Monday by the US Department of the Treasury’s Office of Foreign Assets Control (OFAC). While serving in his previous positions, the politician also “oversaw or partially owned narcotics shipments of over 1,000 kilograms from Venezuela on multiple occasions, including those with the final destinations of Mexico and the US,” the statement added. The treasury also accused him of aiding, coordinating, and protecting other narcotics traffickers in Venezuela. According to the treasury, El Aissami was paid for “the facilitation of drug shipments” that belonged to prominent Venezuelan drug lord Walid “El Árabe” Makled Garcia, who is currently serving a prison term for illegal drug trafficking. El Aissami also reportedly provided protection for Colombian drug kingpin Daniel Barrera Barrera and Venezuelan drug trafficker Hermagoras Gonzalez Polanco, both of whom US authorities have named “Specially Designated Narcotics Traffickers,” according to the OFAC statement. El Aissami also allegedly had links to Los Zetas, a Mexican criminal syndicate that is notorious for kidnapping civilians and beheading its enemies, the treasury said. The cartel is known for violent and bloody attacks, such as the 2010 and 2011 San Fernando massacres, in which over 250 people were killed, and the 2011 Durango massacre, which claimed the lives of over 300 civilians, according to data from local media and human rights groups. 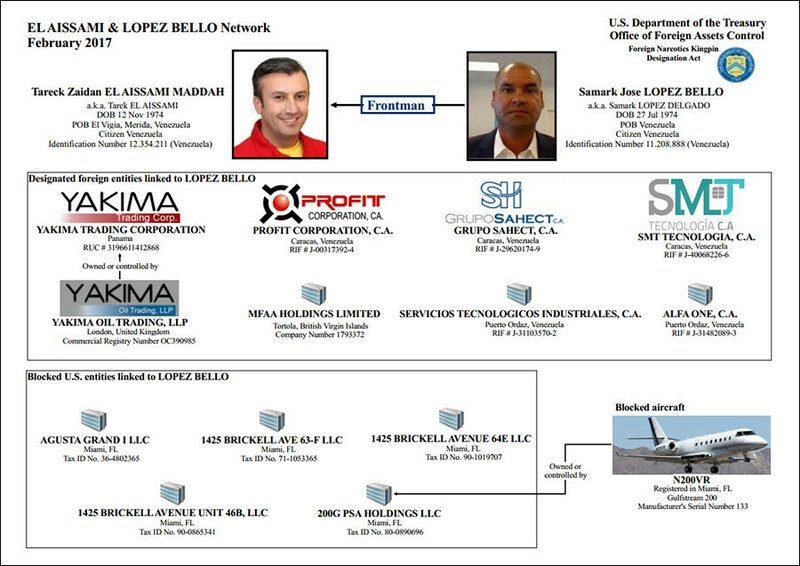 According to OFAC, Lopez Bello “oversees an international network of petroleum, distribution, engineering, telecommunications, and asset holding companies” in Venezuela and abroad, including the UK and Panama. “As a result of today’s action, US persons are generally prohibited from engaging in transactions or otherwise dealing with these individuals and entities, and any assets the individuals and entities may have under US jurisdiction are frozen,” the statement read. El Aissami later took to Twitter to criticize the “imperialist aggression” of Washington. “Truth is invincible and we will see how this vile aggression will be dispelled,” he wrote. US authorities have been investigating El Aissami, who is of Syrian and Lebanese origin, since 2011. The US media has repeatedly cited reports claiming that he has ties to the Lebanese Shiite group, Hezbollah. Tensions between the US and Venezuela have been running high in recent years. 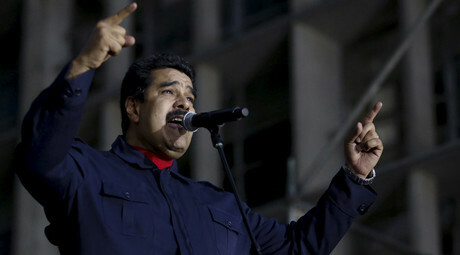 In 2014, President Nicolas Maduro expelled several consular officials from the country, accusing them of conspiring against the Venezuelan government and aiding the opposition protests that had broken out. In 2015, President Barack Obama declared Venezuela a national security threat and imposed sanctions on seven government officials. Maduro has railed against the sanctions on his country, accusing Washington of interfering in Venezuela’s affairs. Other Latin American countries have backed his complaint, pushing for the restrictions to be removed and calling for dialogue to resolve Venezuela’s internal problems. Nonetheless, Obama extended the sanctions against just last month.